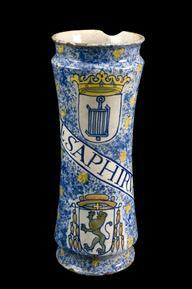 Turned wooden drug jar, used for bole, possibly Spanish, 1601-1700. Graduated black background. 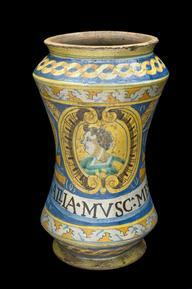 The earthenware pharmacy jar was used to store terra sigillata, or “sealed earth”. Terra sigillata was a clay-like soil that was believed to have medicinal qualities. It was first used on the Greek island of Lemnos in around 500 BCE. It was usually prepared into cakes and then dried. 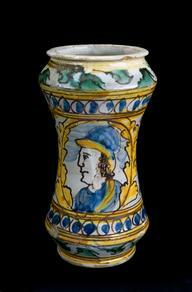 The clay was then crushed into a powder and taken with liquids or made into a paste and smeared on the body. 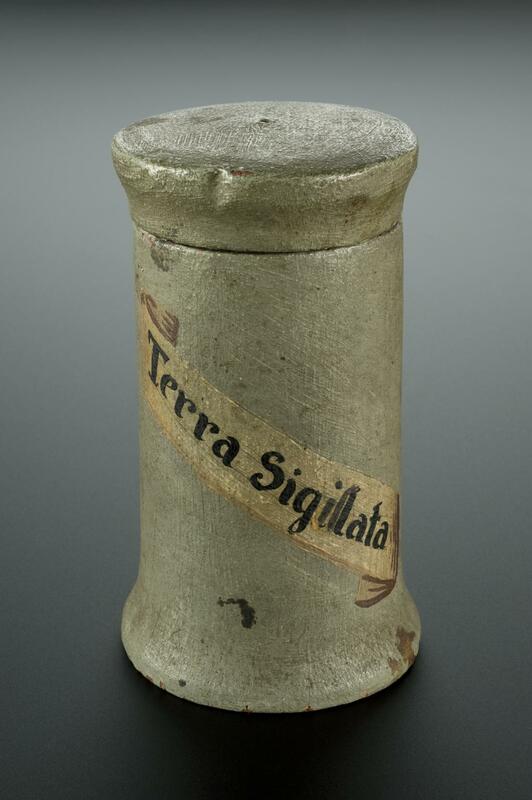 Terra sigillata was believed to fight against a number of diseases, including plague, and was highly sought after during epidemics.